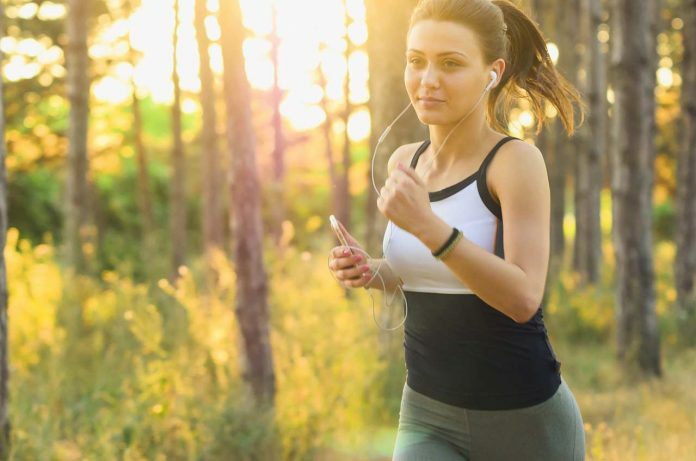 If you’re planning to start running in order to keep yourself healthy and fit, here are a few things you must keep in mind as a beginner. Running is certainly the first cardio workout that comes to mind. And, beyond doubts, running is good for your body in more than one way. Nevertheless, just like any other workout even running can negatively impact your body if you’re not careful enough. But, fret not, we’ve got you covered. Although you should find no excuse to delay the great habit that you’re about to pick up, sometime it’s necessary to consult a doctor as well. If you’re a heart patient if goes without saying that you have to consult a doctor before putting your heart at risk. Well, if you’re thinking that shouldn’t running as a cardio workout be helping you in keeping a healthy heart, you’re probably right. However, running can be quite a burden to the heart, especially when you’re overdoing it. It becomes necessary, thus, to consult your doctor and take advise for the limits you should keep in mind. Also, it’s necessary to see a doctor if you’ve any other problem that might flare up due to running like arthritis, respiratory problems, or any other critical illness. It’s not a good strategy to push yourself beyond limits from the first day itself. You might be doing more harm to yourself than good. Before you go for long distance running, start gradually with small jogs for first few days. Gradually build your stamina and prepare your muscles and heart well before you expose them to greater exertion. It would be futile if you begin running with great enthusiasm, overdo it, cramp or even damage your muscles, only to end up giving up the entire campaign. In each running session start your jog at a slow pace, build up the speed slowly so that you can avoid a sudden burden to your heart and knees. This way you’ll keep your joints from accruing unnecessary wear and tear due to a rash start. This will also allow you to prolong your running sessions and build up a great stamina at a faster rate. So, remember to start slow so as to be faster. Don’t set yourself some unrealistic goals and end up harming your body in order to realize them. The weight loss should be slow and steady. Attempts at too rapid weight loss could result in problems like cellulitis and lead to further weight gain. Taking a good diet is very important. Since running would increase your hunger, if you’re not careful you’d end up putting a few kilos more. Your diet should contain fewer calories and be rich in proteins. It should boost your stamina and help in building muscles. If you’re not certain about what to eat take help of a nutritionist. Remember, don’t eat more and don’t eat less. Eat right. It’s also essential to take pre-workout and post-workout diet. It’s important to choose a good track for running. It’s much better to run on a soft track, preferably a mud track or in grass. Running on hard tracks like a concrete track or on roads is not advisable. Hard surface tends to impacts the knees more leading to joint wear and tear. If you like to explore you can switch running tracks and explore newer areas, however be careful of the surroundings and do not run over uneven surfaces. You don’t want to end up doing harm to yourself. Just as it is important to choose the right track, it’s also important to choose the right clothes. The clothes should be fairly loose to allow your skin to breathe. They should also be comfortable enough, not to loose and not to tight. Also, ensure that the fabric of the clothes is soft and sweat absorbing. if you’ve itchy clothes, you’d feel like ending your running session prematurely or even give up the entire idea of running for fitness, without even realizing that it was all because of your wrong choice of clothes. Another important companion in your running sessions is your pair of shoes. You should choose your shoes well. The size should be appropriate, just fit and comfortable. Size slightly bigger, or smaller wouldn’t do. Also, make sure that the shoes are made of flexible material, and should be able to absorb shock from running to avoid harm to the joints. If you’re too obese, you should put a hold on your idea about running for a while. Too much weight could be hazardous for knees. Hence, it is recommended to shed some weight off by other means before you start running. Brisk walking is a nice idea to begin with. Running or any other exercise for that matter makes you sweat profusely and lose a lot of water and electrolytes. Thus, it is important to drink lots of water to keep yourself hydrated, increase blood circulation and avoid muscle cramps and excessive fatigue. Although not essential, it is only beneficial to add yoga to your fitness regime. Running can leave you breathless at the end of your session. If you combine running with yoga you can reap additional benefits as well and enhance the results. Pranayama, a type of yoga, can really help you improve your breathing potential substantially. It’s important to warm up before running to avoid any injury to the muscles and heart. You should do stretching exercises both before and after running to keep your body flexible. You must follow up the running with appropriate cool down exercises and rest. It would help your body recover to normal heart beat, breathing and temperature. Appropriate cool down would help you take lesser damage, avoid muscle soreness and also avoid any long term side effects to heart and lungs. It’s always important to know your limits and stay within them. Over straining would lead to muscle damage, beside risk of heart and joint problems. Running may not be adequate alone in keeping your body fit, especially if you’re planning at reducing a good amount of weight. You should mix running with other form of workouts including weight training that should cover every part of your body. You should choose the running area carefully. For personal safety the area should not be abandoned and have adequate light. You wouldn’t want to be mugged or be a victim of criminals while running.